Model Citizens Unite: Hello? Operator? I find myself longing for the same excitement that came with answering the phone that I experienced when I was a young boy. Like the time I tried calling 555-5555 to get in touch with all those people I saw in the movies. Or as excited as one of my students who lights up when she sees the area code (604) because she knows it is from her hometown of Vancouver. Even that time the girl gave me the “you’ve been given a fake number” number was more exciting then current phone calls from these 17 digit numbers. 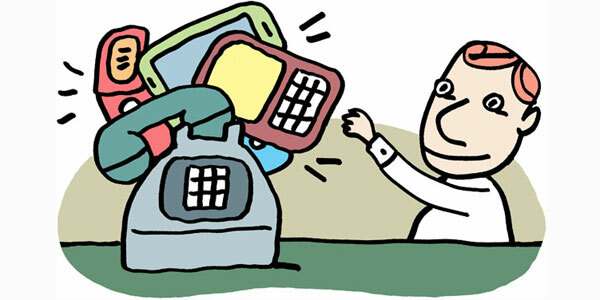 When a phone rings – I want to be able to pick it up. The more foreign the area code the better. But, I want to trust who calls me. I want the excitement of conversation and the exchanging of words from one mind to another. Who wants to live in a world where they don’t even bother to pick up their phone because they know it’s not worth their time? Mind you the more I think about it – I may actually be interested in spending some money to receive the opportunity of a lifetime. Anyone have glub glub’s number? This is similar to the idea of phones no longer being used for phone calling - but instead, for taking photos, updating statuses, sending emails...even getting NHL trade deadline updates. If phones ever get back to the basics, I think phone calls will too!